Shoulder separation or acromioclavicular joint dislocation is a common injury in athletes who play contact sports such as ice-hockey, rugby, football, basketball, cycling, and motorcross. When the injury is only mild, usually treatment can be nonoperative. This is not the case in severe injury. If injury is treated early (within 3 weeks), minimally invasive arthroscopic, or keyhole procedures can be completed. However if surgery is delayed for a long time, larger surgery is done. 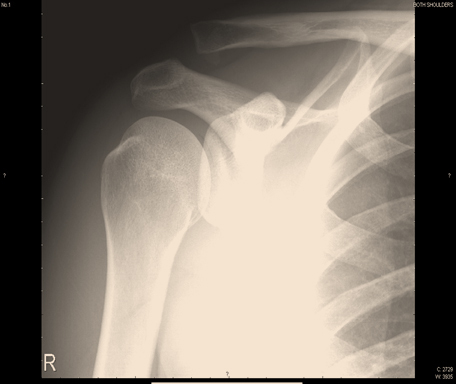 Images of severe shoulder separation. Xrays of severe shoulder separation. See images below showing the arthoscopic repair. Clinical results after chronic ac joint reconstruction with graft. Usually after surgery, a high level of competition can be resumed, including activities like motocross.